Understand Your Options Though you can’t predict the level of care you or your loved one may require, it will help you set proper financial goals if you are aware of elderly care options and understand their associated potential costs. These options include Medicare coverage, long term nursing home care, or private home care. What do the Federal Government and State of New Jersey offer? Both the Federal and State Government provide support to the elderly. This includes Medicare and Medicaid, as well as state initiatives, rebates and so forth. There are also programs dedicated to assisting veterans through the Veteran’s Administration and The New Jersey Department of Military and Veterans Affairs, including adult day health care, respite care, home care and palliative care. Start planning early. This is key to making a success of your elder care plan. Legal strategies, such as creating asset protection trusts, moving assets into a spouse’s name, private annuities and personal care agreements outside of the Medicaid look back period, will help meet the qualifications for Medicaid assistance. 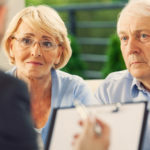 As elder law attorneys, we advise our clients to start developing a strategy with your attorney 36 months or more before the need for long-term care is anticipated. Don’t forget about estate planning. If you or your loved one has an out-of-date or nonexistent estate plan, now is the time to take action. Legal documents such as Advanced Medical Directives will ensure you can specify the level of life-saving care you would like. A medical and financial Power of Attorney is also important, as it will ensure a trusted person of your choice carries out medical care and financial decisions in line with your preferences in the event you can no longer do so. In addition, your estate plan can include an updated Last Will and Testament or a Living Trust, should you require it. For more information, contact us today and speak to an attorney at Sedita, Campisano & Campisano, LLC. With more than 30 years of experience in New Jersey elder law, we’ll assist you with creating a Living Trust or drawing up other legal documents including Power of Attorney, medical directives and Wills. For more information or to speak to an attorney. Estate planning is about establishing the proper safe guards to ensure your loved ones are cared for and protected in the event that a tragedy occurs. Though this process will provide you and your loved ones with peace of mind it is so often put off due to some misperceptions. In this post, expert NJ attorneys will ease your mind as we debunk the three most common misperceptions. You don’t think you are wealthy enough to have an estate plan: Despite their association with the rich and elite, estate planning is not just for the wealthy. Take a look at your life right now. Do you own any assets? A bank account? A vehicle? A home? Do you have a family you need to provide for? If you answered “yes” to any of these questions then you need an estate plan – it’s that simple. I’m too young: As scary as it may seem, life can bring about unexpected events. No one is immune to the possibility of a tragic accident or terminal illness. A comprehensive estate plan gives you peace of mind and a sense of certainty in a more and more uncertain world. In addition, it’s also far easier and more inexpensive to start estate planning while you are younger and generally have a far less complex financial situation. It’s too complex: Estate planning is a complex legal procedure and trying to decide if you need a Living Trust, a Last Will and Testament, a Power of Attorney, or all of the above, is not an easy decision to make. Fortunately, that’s where legal assistance from experienced estate planning attorneys will help smooth the way. By looking at your situation in-depth, we can help you decide on the right course of action and develop a customized estate plan which ideally meets your needs and provides the proper protection for your assets. If you want to find out more about estate planning and the benefits thereof, the law firm of Sedita, Campisano & Campisano, LLC can offer you expert estate planning advice. In addition, we can assist you with creating a trust, Last Will and Testament and drawing up Power of attorney documents. For more information, please contact us today. What is a 529 Plan and Should it be Part of Your Estate Planning Strategy?